Enzo Ferrari’s prancing horse is an internationally recognized symbol of speed, power, and strength. The iconic logo is a black horse (Cavallino Rampant) on a yellow backing with the colors of the Italian flag across the top. Historians generally agree on the overall story behind the Ferrari Cavallino Rampante. But the details behind the logo remain unknown to history. 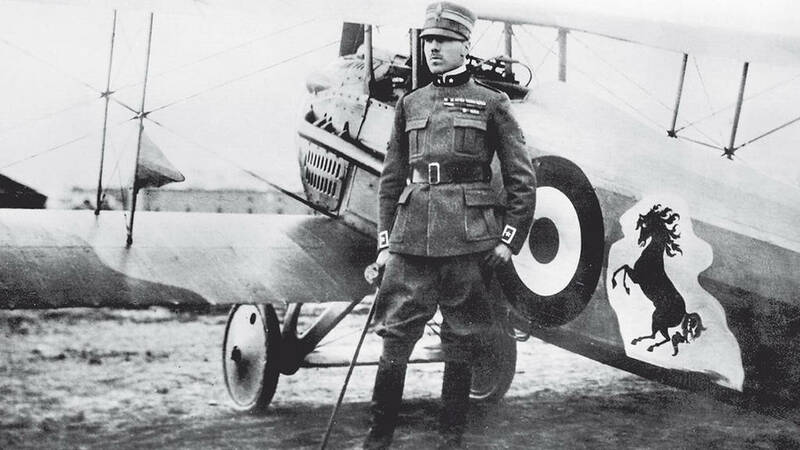 What is pretty much undisputed among historians (and Ferrari aficionados) is that the great World War One Italian fighter ace Francesco Baracca had a prancing horse on the side of his plane. 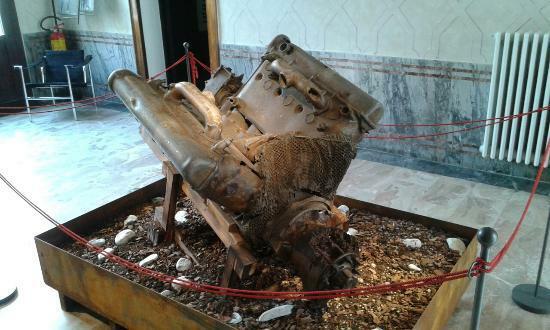 Baracca was killed in 1918 when his Spad VII was shot down by a rival Austrian aircraft. “So goes the Ferrari version of the legend of the Cavallino, the Prancing Horse of Ferrari that has become one of the most famous logos of the twentieth century. But his story is rife with alterations and omissions. To begin with, the emblem was not Baracca’s personally, but that of his own Squadriglia 91a. (It was still employed even after World War II by the jet squadron 4a. Aerobrigata, and therefore was hardly his mother’s to give away.) As has been mentioned, Ferrari’s brother, Alfredo, was apparently a member of the ground crew for the squadron, and it is possible the countess suggested that the escutcheon be adopted in his memory. 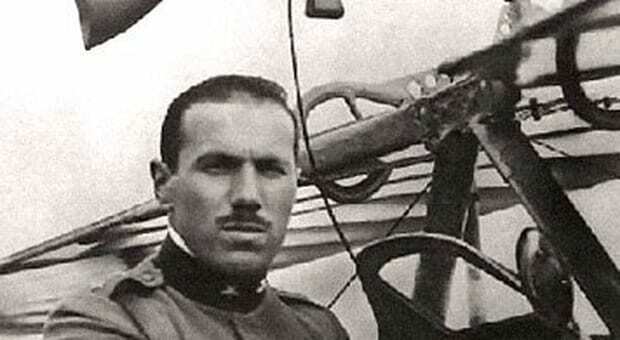 There is a reliable story that Baracca took the Prancing Horse after he shot down a German pilot of Tolmezzo in November 1916. The German, who was flying an Albatross BII, was from Stuttgart and was carrying the emblem of his city—also a prancing horse—on the side of his airplane. Therefore it is logical to assume that the Cavallino Rampant so revered by Ferraristas is actually of German origin and directly related thematically to that later carried by Ferrari’s archival from Stuttgart, Porsche! Examination of the two logos reveals a startling similarity. As for the countess giving Ferrari the emblem for “luck,” one must puzzle over what kind of good fortune it brought to her son. The final irony of the story of the Prancing Horse: While Ferrari sentimentalized the moment and the significance of the gift, he put it in a drawer for nine years, and it did not appear on the hood of one of his racing cars until the 24 Hour sports-car race at Spa, Belgium, on July 9-10 1932! We will never know all the precise details behind the origins of Ferrari’s Cavallino Rampant. What we do know is it has become one of the most iconic brands in modern history. I am currently reading the massive recent biography of Enzo Ferrari by Luca Dal Monte and there is an account of the symbol there, referring to the Countess Baracca story. 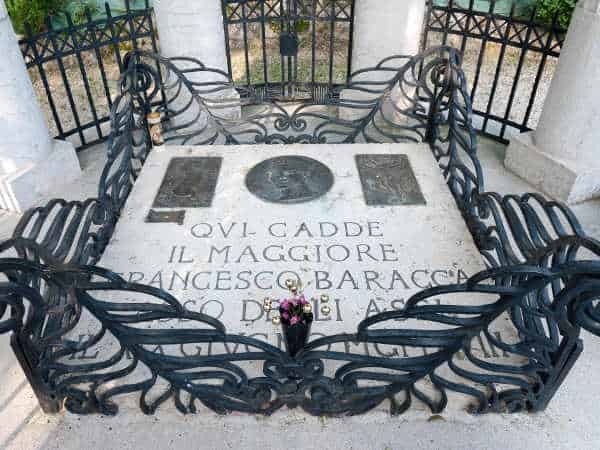 Interesting to me was the possibility that the horse might have been red on Francesco Baracca’s airplane and after his death it was changed to black by the squadron in mourning. As well, the first use of the symbol by Scuderia Ferrari was indeed in 1932 but it appeared on a racing motorcycle in competition a week before it was applied to the Alfa Romeos of the team. I was not aware that Ferrari had a motorcycle division for some years..
My Sunday morning coffee is always better with the Turtle Garage! Thank you for being a loyal reader! Sorry we missed you in Barnard, I hope the celebration was a success!